European astronomers have observed the Sun for centuries trying to understand its nature. But, even today, many questions remain unsolved: how are the solar magnetic fields generated?How do they emerge to the solar surface, forming the structures that can be observed?Are we able to predict the most violent events, which may have an influence on terrestrial telecommunications? To try to solve many of these issues, a large solar telescope is being designed with the aim of understanding the solar magnetic field, the main responsible for most of the phenomena observed in our star. 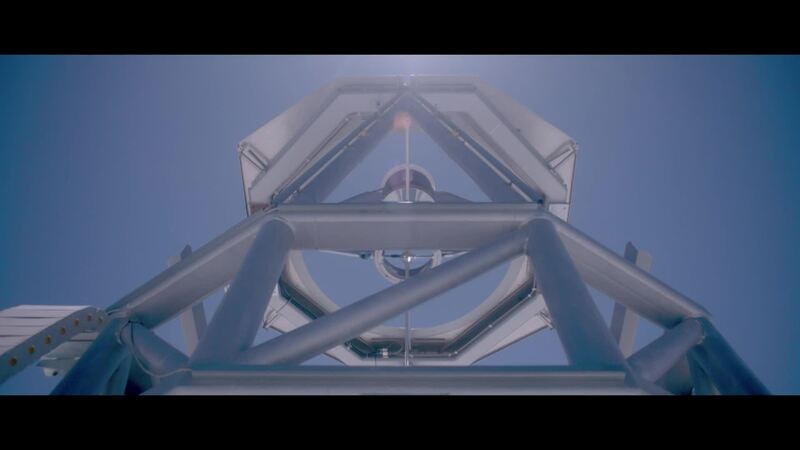 This European Solar Telescope (EST), the second largest in the world of its kind, will be installed in the Canary Islands and it will involve the efforts of more than seventeen European countries to build a leading infrastructure that will become a global reference. EST is a large scale science project included in the ESFRI Roadmap (European Strategy Forum on Research Infrastructures) and has been developed, therefore, under the auspices of the European Union. The documentary "Reaching for the Sun" describes the common efforts of the European scientists for unravelling the secrets of our star throughout history. The same efforts who have led to design the European Solar Telescope. The documentary "Reaching for the Sun" describes a historical and geographical journey through the different solar telescopes that the human being has been building in Europe, up to the current challenge of the European solar physics community: the construction of EST, the largest instrument devoted to the observation of the Sun designed in the old continent. This activity has received funding from the European Union's Horizon 2020 research and innovation programme under grant agreement no 739500. With the collaboration of the Spanish Foundation for Science and Technology, Ministry of Science, Innovation and Universities.